What To Do When You Are Involved in a Massachusetts Car Accident --- First Steps. 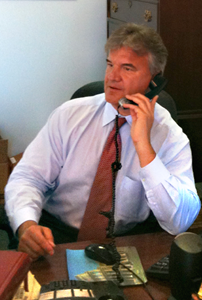 Call Our Massachusetts Car Accident Lawyer Experts 24/7 at 617-787-3700. When you have been involved in a Massachusetts motor vehicle accident, you need an expert Massachusetts personal injury lawyer to assist you. Our Boston, MA motor vehicle accident attorneys have extensive skill, a thorough knowledge of Massachusetts law, and the expertise to assist you in your Massachusetts motor vehicle accident case from start to finish. Call our Massachusetts personal injury lawyers today at 617-787-3700 or email us at info@gilhoylaw.com. Our Boston Auto Accident Lawyers and Boston Wrongful Death Lawyers Have Significant Experience and Expertise in the Massachusetts Automobile Accident Claims Process. When you have been involved in a Massachusetts car accident, it is critical that you take all of the necessary steps to maximize your chances for a recovery that will fully and fairly compensate you for the injuries and damages that you have incurred as a result of your Massachusetts motor vehicle accident. If you have been involved in an automobile accident in the Commonwealth of Massachusetts, either as the driver, a passenger, or a pedestrian, you need to take immediate steps to enable our Boston car accident lawyers to protect your rights and ensure that you receive the highest settlement possible. When You Have Been Involved in a Massachusetts Car Accident, Call Our Massachusetts Car Accident Lawyer Specialists at 617-787-3700. Our Boston auto accident lawyers and Boston wrongful death attorneys have significant experience and expertise in the Massachusetts automobile accident claims process. If you contact our Massachusetts car accident personal injury lawyers immediately after your Massachusetts auto accident, we will be able to ensure that all of the necessary first steps are undertaken. This will maximize your chances for a significant monetary recovery. It is important that you try to obtain as much information as possible about the vehicles involved in the Massachusetts accident, including the license plate, make and model. It is also important that you seek to obtain the driver’s name, address and license number, as well as the car owner’s name and address, their insurance company and their coverage information. There are other facts and circumstances that you should try to note, such as the direction and position of the vehicles, the weather at the time of the Massachusetts accident, the time of day, the lighting conditions, and the names and addresses of any and all witnesses. In addition, speak with the police to make sure that they are aware of any Massachusetts traffic violations that the other operator has committed. This information is essential for building a strong case and enabling our Boston auto accident attorneys to maximize your settlement. If you have a camera, or a cell phone that takes pictures, please remember to take photographs of all of the vehicles involved. In addition, it is highly useful to photograph any visible injuries, and the location of the Massachusetts accident, including any blocked traffic signs or faulty construction. Perhaps most important of all, if you are injured, seek medical attention right away. If you are in pain, go to the hospital immediately. Sometimes you will not experience any significant pain for a few days. This is particularly common with respect to soft-tissue, whip lash type injuries. Although symptoms may not appear until a few days later, it is important that you receive medical treatment when you do experience pain. In addition, when you receive medical care, it is important to provide the medical staff with an accurate history of your accident and all areas of your body that are experiencing pain. Furthermore, you should keep a complete record of all of the places and dates that you receive medical care. This will enable our Boston, MA car accident attorneys to obtain all of your medical records and medical bills so that we can properly pursue your Massachusetts car accident personal injury claim. Massachusetts insurance companies do all that they can to limit the monetary payments that they make on Massachusetts auto accident claims. 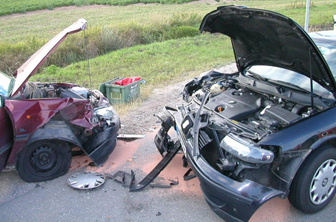 Do not agree to any settlement offer made by an insurance company before speaking with our Boston car accident lawyers! Massachusetts insurance companies often do not have your best interests in mind, and simply want to close your case after minimizing their payments. Signing any documents or statements agreeing to a settlement will prevent you from getting maximum monetary compensation for your injuries. Our experienced Boston auto accident lawyers possess an in-depth knowledge of Massachusetts insurance law and the Massachusetts rules of the road needed to make a successful claim. Our Boston, MA Law Firm will work for you and handle all of your interactions with the Massachusetts insurance adjusters. We will ensure that you get fully and fairly compensated. There is no such thing as a minor whiplash or neck injury. Nerve and muscle damage sustained in a Massachusetts auto accident can result in serious pain and rehabilitation for years. A Massachusetts closed head injury, such as a concussion, can lead to severe brain damage if not treated properly, and can mean expensive medical bills and loss of earnings for you and your family. Before you settle with a Massachusetts insurance company adjuster for an insufficient amount, please call us at (617) 787-3700 or email us at info@gilhoylaw.com. An insurance company would like nothing more than to settle with you before you have spoken with our expert team of Boston accident lawyers. We will help you decide what your best options are for obtaining the money you are entitled to. There are time constraints with respect to reporting your Massachusetts accident, bringing a claim, and if necessary, filing a Massachusetts car accident lawsuit in Court. 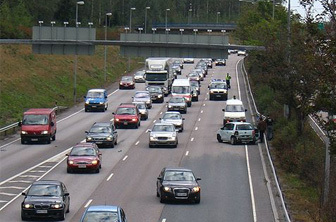 Let our Boston, MA car accident injury lawyers help you. We will notify your Massachusetts insurance agent or Massachusetts insurance company about the Massachusetts accident as soon as possible. We will also protect your interests with regards to overly zealous Massachusetts insurance companies. While you are obligated to cooperate with your insurance company, always remember that the insurance company may have conflicting interests to yours. Our Boston, MA auto accident lawyers will protect your interests when dealing with your insurance company, including handling all of your communications and correspondence. This is critical in our fight to achieve the highest settlement possible for you and to get justice on your claim. If a loved one has been killed in a Massachusetts auto accident, please call our expert and highly skilled Boston auto accident wrongful death lawyer specialists today at 617-787-3700 or email us at info@gilhoylaw.com. Our Boston, MA car accident attorneys have been personally selected by Attorney Hoy to represent our Massachusetts motor vehicle injury clients because of their extensive knowledge, skill and unquestionable expertise in handling complex Massachusetts car accident cases. In fact, the Boston Globe has recognized a number of the attorneys that represent out clients through referral agreements as being among Boston’s Best Lawyers. Boston Magazine has also recognized many of our Massachusetts car accident lawyers as Massachusetts Super Lawyers and New England Super Lawyers. 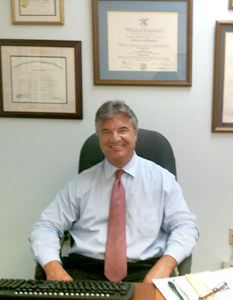 Our Massachusetts car accident attorneys have been named in The Best Lawyers in America as well. 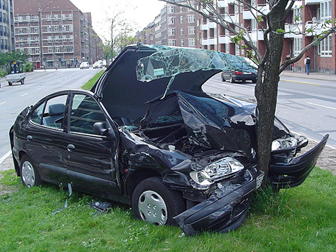 Our Boston attorneys have been representing car accidents victims for more than the past 25 years. We are experts in our field. The Boston car accident attorney specialists at our Boston, MA law firm understand that a Massachusetts car accident can leave an injured victim feeling helpless and unsure as to how to proceed. Our Massachusetts car accident attorneys are available to assist our Massachusetts car accident clients in their time of need. We will work tirelessly on your behalf in an effort to obtain all evidence, witness statements, medical records and police reports. Our Massachusetts attorneys feel that an injured car accident victim should focus his or her energies entirely on recovering from the emotional and physical injuries sustained in the Massachusetts car accident. In the devastating event that a Massachusetts car accident leads to a Massachusetts wrongful death, our Massachusetts wrongful death attorneys will fight to recover the full and fair compensation that is owed to the family of the victim. 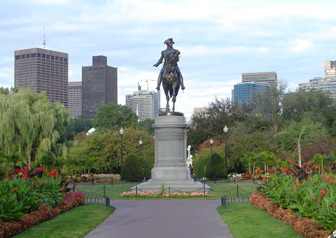 Our Boston, MA law firm has a long history of obtaining high settlement amounts on behalf of our Massachusetts clients. 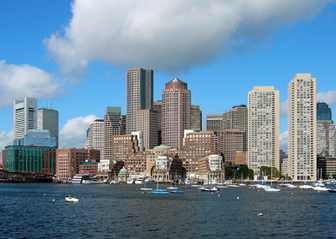 Our Boston car accident attorneys seek to always provide outstanding legal representation and client service. 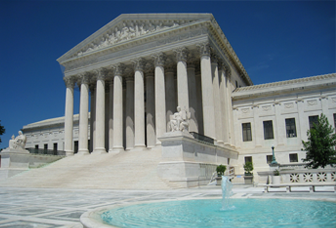 Our attorneys never act on a client’s behalf without the client’s full approval beforehand. We make a commitment to respond promptly to all client inquiries and phone calls and copy our clients on all correspondence. Our Boston, MA car accident attorneys are not content unless our client is fully satisfied and feels that he or she was justly compensated for all of the physical and emotional injuries that were sustained as a result of the accident. There is a statute of limitations that sets a deadline for how long a Massachusetts car accident victim has to make a claim. 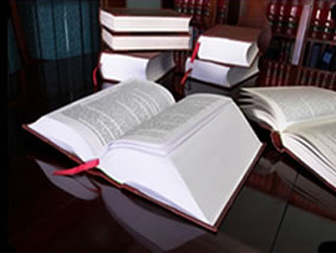 It is, therefore, critical that a highly skilled Massachusetts car accident attorney from the Boston, MA Law Offices of Gilbert R. Hoy, Jr. and Affiliates be obtained as soon as a Massachusetts car accident takes place to ensure that the injured Massachusetts car accident victim is adequately compensated. If you or a loved one has been injured or killed in a Massachusetts car accident, please call our Boston car accident lawyers or Boston wrongful death lawyers today at 617-787-3700 or email us at info@gilhoylaw.com. Let our Massachusetts auto accident experts put our skill, experience and expertise to work for you. The best thing for you to do is to contact us as soon as possible after your Massachusetts auto accident. Our Boston, MA auto accident injury lawyers and Boston wrongful death lawyers have handled thousands of Massachusetts auto accident claims for our Massachusetts injured clients and Massachusetts wrongful death clients. We have achieved many million dollar settlements and have obtained millions of dollars in damages at trial for our Massachusetts auto accident clients. Contact our experienced Boston auto accident lawyers or Boston wrongful death attorneys today for a free case review to determine your rights and responsibilities arising from the Massachusetts auto accident. You should not offer statements to the Massachusetts insurance company representatives or Massachusetts investigators until you have discussed your rights with one of our Boston auto accident attorneys. Massachusetts law limits the time in which you can file a Massachusetts car accident lawsuit, so call our Boston injury lawyers today at (617) 787-3700 or email us at info@gilhoylaw.com. Let us put our knowledge and experience to work for you! If it is more convenient for you, Attorney Gil Hoy will come to your home or the hospital to meet with you and discuss your Massachusetts auto accident claim. Call our Boston motor vehicle accident lawyers 24 hours a day, 7 days a week. Even if you get our answering service, leave a message because we will call you right back. You can count on it. Our Boston, Massachusetts law office charges you no attorney’s fees unless and until we successfully and fully recover just compensation for your Massachusetts auto, motorcycle, truck or other Massachusetts motor vehicle accident injury. Our Massachusetts Car Accident Lawyer Experts Are Here To Help When You or a Loved One Has Been in a Massachusetts Car Accident. 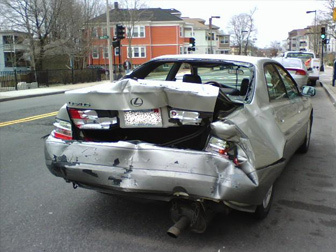 Call Our Boston, MA Car Accident Lawyers Today at 617-787-3700.